The Parent Possible Home Visiting Conference brings together home visitors and supervisors for two days of informative and engaging workshops specifically created for those in the fields of home visiting and early childhood. This conference provides home visiting specific training, professional development, and networking opportunities for over 200 participants from Colorado and neighboring states, along with attendance from representatives of two evidence based home visiting programs, Parents as Teachers National Center and HIPPY USA. Brad teaches how to Embrace Your Awesomeness to boost productivity, creativity, innovation & profits. He turns typical meetings into transformational events using humor & story. Oh, and he’s pretty funny. Brad has transformed audiences in all 50 states and on four continents. He’s spoken to dozens of banks, insurance companies, associations, hospitals and Fortune 500 businesses. His past clients include Microsoft, Verizon, the FBI (yes, that FBI) the CIA (yes, that CIA) and the IRS (where he withheld 30% of his best strategies). 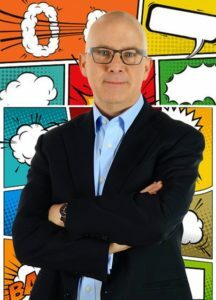 Brad specializes in using humor, interactivity, sound, music and visuals to ignite audiences so that they can get more out of themselves and those people around them improve their lives and their jobs. Audiences and meeting planners describe Brad as “authentic.” He’s a real guy on stage and off. Thinking of a canned and over-polished motivational speaker? Brad is the polar opposite. Brad lives in Centennial, Colorado with his wife, three kids and one neurotic dog. Although he is proud of his many awards and national credits, he’s convinced that his best feats so far are his kids. Now what? Starting Conversations and Making Referrals for Perinatal Mental Health Concerns Kelly Stainback-Tracy, MPH & Jennifer J. Paul, Ph.D. Diagnostic Classification of Mental Health and Developmental Disorders of Infancy and Early Childhood (DC:0-5): An Overview for Home Visitors Alexandra M. Alfonso, Psy.D. Oracle, The Piton Foundation, DataKeeper, Ryan Gunsauls & O’Donnell (RGO), Point B, The Colorado Trust, The Denver Channel (Emcee Sponsor) and The Rose Foundation (Reception Sponsor).